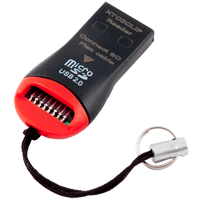 Micro SD card reader USB for XTC2CLIP is USB reader allows you to work with XTC2Clip to connect to your PC and use Offline and Direct mode. Reader Pkey VISTA allows to install Egate cards (Infnity, SeTool, Pkey, UST) or any others Egate cards into this reader without any conflicts with other devices. Install Java cards and normal SIM cards from phone. This is most universal reader available. 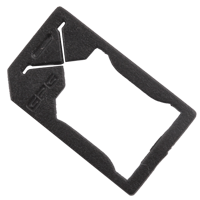 Micro Sim Card to Normal Sim Card Converter allows to use the new style microsim with a standard phone that only accepts the standard size sim card. SIM MAX 12 in 1 SIM Card are MultiSIM Reader/Writer with advanced system STK which can combine 12 most frequently used mobile numbers (SIMCards) from different areas, countries or different networks numbers in just one SIM card. A smart design of this MultiSIM can now solve problems for people who own several mobile numbers and always wonder which one to bring when they go out. With this MultiSIM card, you can combine all your mobile numbers in this MultiSIM card. The operating process is very easy, with the software and the manual provided, you will be able to operate it and switch it to the number or network that you wish. This way, the problem of changing sim cards and paying large amount of phone bill will both be avoided. 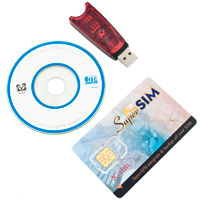 You are further able to download and edit your SIM card's phone book and SMS messages, change the PIN code of your card and do other useful functions.The SIM DOCTOR package contains one MultiSIM which can store up to 10 numbers ( from the same or different networks) as well as the serial port SIM card read/writer and software. 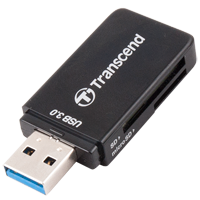 Only in our company you will find USB version which is 1,5x faster and 2x smaller that other types of such devices ! 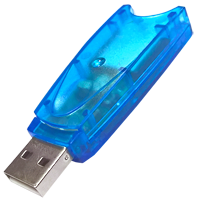 SIM MAX Card Reader/Writer it's high speed USB SIM Card reader that a allows you to read all contest of your SIM and make copy of it on HDD or chaneg detaisl directly on SIM withtou usign phone. You can edit SMS, phones, graphics etc. Mostly used in big companies to personalzie all SIMCads for desired numbers withtou need to spend time to do this manully as well as by police in forensic area for investigations. 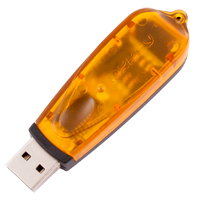 Only in our company you will find USB version which is 1,5x faster and 2x smaller that other types of such devices ! SmartCard Reader IBM ZCard it's universal reader for all devices that uses IBM ZCard standard as USB Smart in case your reader are demaged and need to bereplaced.